“If you are a man, you are faced – moment by moment – with thousands of micro-conflicts. Unless you stay indoors, in bed, under covers, you can’t avoid them.” Competition is by no means the preserve of men. But male competition can somehow be more all-encompassing and toxic. How then should we face the problem of bein’ a man? Of dealing with a life of conflict and failure? Litt gazes back into his own family mythos. His great-great-great grandfather was the poet, smuggler and champion wrestler, William Litt. And if William can’t tell you a thing or two about bein’ a man, who can? William wrote the original Wrestliana; Or, an Historical Account of Ancient and Modern Wrestling, a spirited polemic in defense of what he saw as the noblest sport in all the world. Now this isn’t the pro wrestling that many would recognize today – the kind of wrestling I have been known to take part in – choreographed fights where men dress up as men in a kind of drag. This is actual wrestling, real wrestling, real men. The sport of grappling as performed by a few aficionados on the playing fields of fetes in Cumbria. Cumberland & Westmorland style is more similar to Olympic wrestling but not exactly the same. There are amusing descriptions of Victorian wrestling customs, dress and arcane holds (cross-buttock, full buttock). 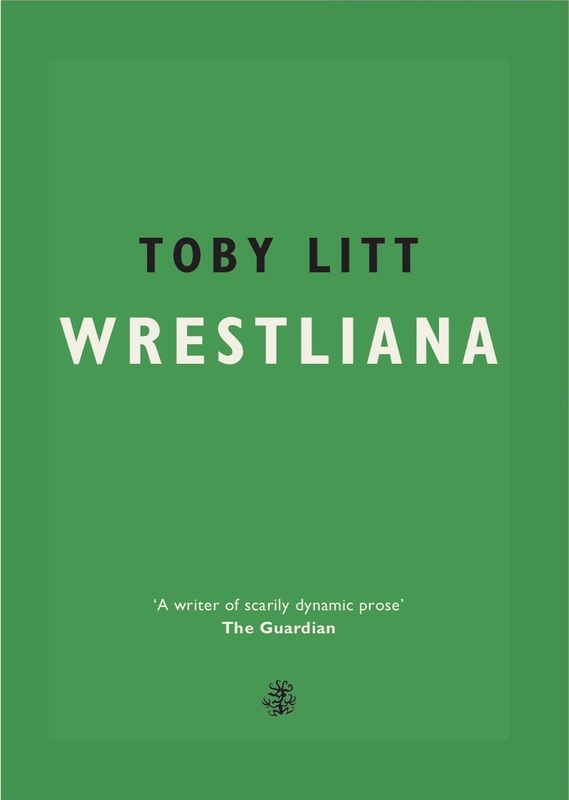 Wrestliana is written in a hard-won style that as entertaining as it is, can at times, threaten to keep the reader at a distance, in a control hold. But the strongest parts of the book are when Litt gives way to the reader and opens up about being a loser. There is a paradox in the strength of the narrative persona given over to vulnerability. How he wanted to be a writer and prove his worth to school bullies. How it’s virtually impossible to become an elite sportsman and an author like William in our age of specialisation. He writes with tenderness, warmth and humour about the positive masculinity of being a father and is no less candid about his competitive nature, how not being longlisted for the Booker Prize hurt him and the pain of losing of a book deal. He gets in the ring and has a rumble himself. Like William, Litt reflects on when his best day might be. Litt is so taken by wrestling he can’t wait for his next fix of Cumberland & Westmorland wrestling and tries out one of the WWE’ss flagship brands, Smackdown. This is the fake side of wrestling. Overblown storylines, musclebound heroes and choreographed outcomes. His assessment is a painstakingly funny deconstruction of the disjointedness of a mediatized product being presented to a live crowd. The performance lacks life, adventure, energy. It exists to be recorded, not experienced; William would’ve hated it. Litt is interested but underwhelmed. But he’s not quite correct in thinking that somebody like John Cena – who the WWE push as a fan favourite – doesn’t get booed in America. The All-American Hero, like many other ‘good guys’ in the industry now, are routinely heckled for their jumped-up macho images, and the snarling wholesomeness of this kind of masculinity is a turnoff for most fans over the age of eight. Whereas a scrawnier, more artful wrestler like Daniel Bryan, who Litt described with hilarious accuracy as “a cross between a Status Quo fan circa 1975 and a brown rat” is universally admired. It represents a cultural shift from freak to geek. In his meditation on the sport Litt finds a model of competition where victory doesn’t depend on the entire destruction of your opponent, one that shares the gentlemanly ideals of the wrestling ring. Winning doesn’t have to mean somebody else losing. Recognising we’re all losers and that’s okay is the first step. Weighing in at a solid 260 pages, Wrestliana is a funny, moving and insightful meditation on what it is to be a man and how we can learn to fail better. Posted in Reviews and tagged Book Review, creative non-fiction, essayists, essays, non-fiction, nonfiction, Original Nonfiction, Review, Toby Litt, wes brown, Wrestliana. Bookmark the permalink.